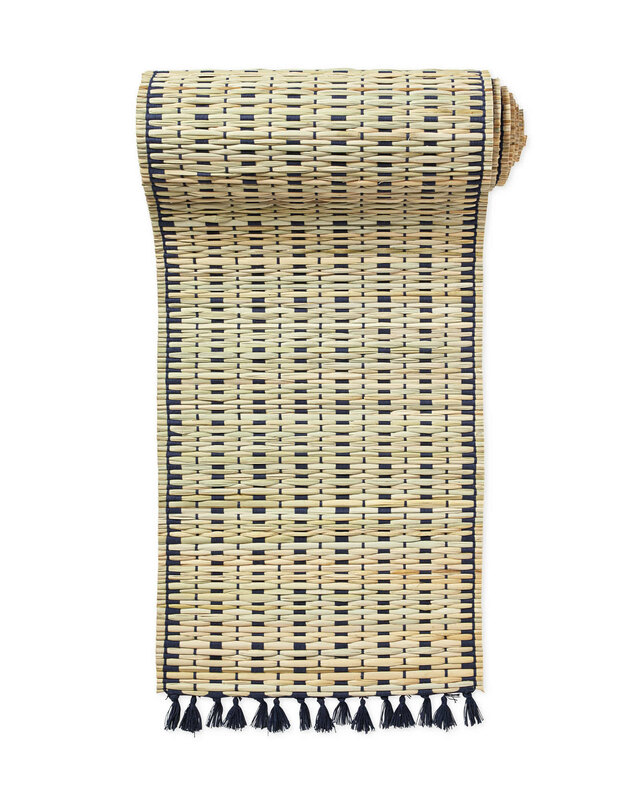 Cabo Woven RunnerCabo Woven Runner, Navy alt="Cabo Woven Runner, Navy"
Print This handwoven runner epitomizes pretty and practical. Made from a mix of durable banana leaf and colorful cotton, they take spills in style and roll up easily when the dinner party’s done. Fabulous tassels add just the kind of design detail we adore. Handwoven of 25% cotton, 75% banana leaf. Spot clean with a soft, damp cloth. Blot excess water and air dry.